There are a lot of facts about Last Wills that many people don’t know. For example, did you know that every person, 18 years and older, should have a Will? Whether you are rolling in money or poor as a church mouse, and everything in between, you need a Will. Whether you are single, married or in a committed relationship, you need a Will. Here are 10 interesting facts you need to know about Wills. If you die without a Will, it is called “dying intestate”. The government, also known as the State of Arizona, and not you, will get to decide who gets your money and who does not. There are Arizona state laws that say who gets what in this situation. Generally, your spouse will be the first in line, followed by your children, then your parents, then your grandchildren, and then your siblings. So if you don’t want your estate to fall into the hands of one of these people, and you die without a Will, there’s nothing you can do. Be sure you don’t confuse a Will with an Arizona Living Will. A Living Will and a Last Will and Testament Are Two Separate Documents . A Will says who gets your assets and personal belongings when you die, which takes effect at the time of your death.It is usually referred to as a will and used to disburse your estate after death. A living will goes into effect while you are still alive, but when you are either in a vegetative state and/or have no chance of recovery.A living will addresses your willingness to “have the plug pulled” in the event you are unable to communicate this decision to your loved ones – it gives permission to your loved ones to pull the plug. It is an important document to have in place; it provides your designated representative guidelines regarding critical, life and death, medical decisions. These are two very different documents. It is very important to know the differences between the 2 types of Wills so you pick the right one for the right job. Having the wrong type of Will can be bad for you and your estate. Did you know that you can include the appointment of a guardian in your Will? Yes, it’s true. You can actually put in who you would want want to be the guardian of your children in case you die. Your named guardian steps into your parenting shoes. This is important because if you don’t have this in writing, a Judge will decide who will raise your children. And you don’t want that to happen, do you? You can say that someone should not receive money from you under any circumstances. If you tell people you don’t want someone to inherit from you, and you don’t put it in writing, then it means nothing. You need to specifically state in a Will that so and so shall not receive any inheritance. Saying that person should get $1 is not sufficient. You need to totally exclude that person. You don’t want any confusion if you feel this way about someone. This interesting fact, more than any of the others, shoud convince you to prepare a Will. A lot of people think the making of a Will is the most expensive part of things. But, if you don’t have a Will, then your loved ones could face the higher costs of probate and possible taxes in the future. The last thing people want is for the people who are inheriting from them to fight. Having everything written out in a Will can certainly help prevent future battles. But, you can add in language to a Will that says if you fight, go to court and lose, you lose your entire inheritance. This is a major deterrent. It is very important to keep your Will error-free. Mistakes can really put the validity of your Will in jeopardy and be very costly to litigate. If you don’t have the Will signed correctly, or you accidentally put the wrong money amount for someone, or you have sections that conflict with each other, your loved ones could have a major problem on their hands. In order to avoid future hassles, if you get married, you need to change any existing Will you have. Even if you are not leaving all of your assets to your spouse, you still need to reflect the new marriage. If you get married and have kids from a prior marriage, you definitely want to change your Will to reflect how much your spouse gets of everything and how much your kids get of everything. If you get divorced, you definitely want to change your Will, especially because you probably no longer want your spouse in charge of your finances when you die. With the advent of technology, your social media accounts and online assets are now part of your estate. Because of this, your executor (called a Personal Representative in Arizona) needs to be informed about your digital legacy. This means that you can give the passwords and other details to your Personal Representative so he/she can access your digital accounts when you die. This is perhaps one of the most recent facts about Wills that everyone needs to know. Despite the importance of Wills, more than 50% of people still don’t have them. They don’t take having a Will seriously enough or fail to understand its importance or implications. Remember, this is one of the most important legal documents you must have in your lifetime. It is not good for your heirs and your estate if you die without a Will. A will gives you the opportunity to dictate how your estate should be distributed and make provisions for the care of any minor children. 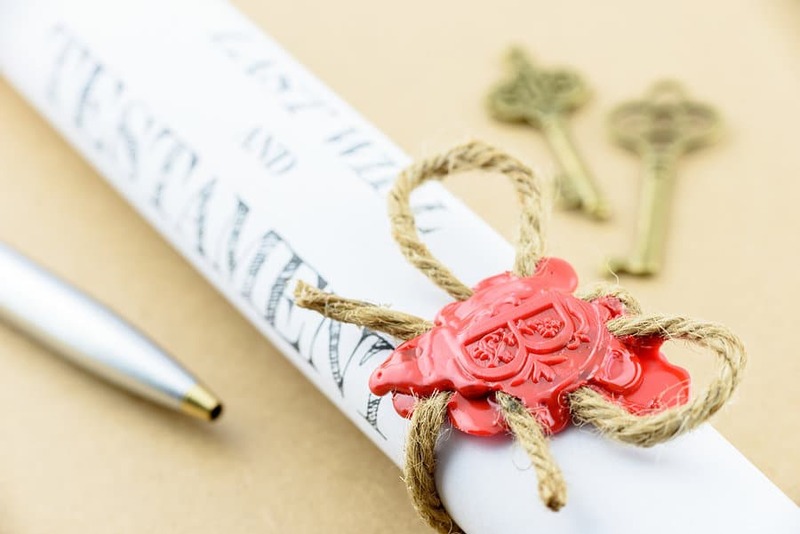 It is important to note that if you do not create a legally binding estate plan, when you die, the state will make all of those important decisions for you. State law will dictate who inherits your estate and a court may decide what happens to your children. Creating a will allows you to make your wishes for your family and assets known and followed. If you find that your current will no longer expresses your wishes, you can make changes as you see fit. You can either create an addendum called a codicil or make a new will altogether. It is important that any changes to your existing will meet legal statutes and standards. A codicil must be in writing and you have to sign it. A codicil also needs to be signed by two witnesses and notarized. If you make improper edits to your will, it may be considered invalid and not be recognized by the courts. Never handwrite changes to your Will on the will itself. It will invalidate the will. Instead of a codicil, can simply revoke your will and create a new will. One way to revoke the original will is to simply destroy it. You can also create a new will and use the appropriate language to state that you are revoking the previous will. If you are considering changing your will, it is always advisable to consult with an attorney to make sure that the changes are executed correctly and are legally valid. When you pass away, your will may be presented and processed in the courts through a system called probate. Depending on the type of assets you have, your estate may be required to go through probate, or you may be able to avoid this process altogether. If your estate is only made up of assets that are directly transferred to the beneficiary, your estate may be able to avoid going through the courts. Assets such as life insurance policies and payable on death bank accounts pass directly to the designated beneficiary without any court interference. If your estate has assets that do not pass directly to the beneficiary, it may be subject to probate. People often want to avoid probate because it is a public process, which means the terms of your will become part of the public record. Many people prefer to avoid these items and choose other estate planning methods such as a trust. It is not enough to just create a will; you also need to appoint an executor to oversee and execute it. You need to pick a responsible, trustworthy and capable person to act as your estate’s executor. This person will need to present your will to the court and meet all legal filings and deadlines. Being an executor is an important role and he or she can hire legal assistance at the expense of the estate. Choose your executor wisely. Marriage, divorce, children and so much more happen within our lifetimes. It is important that your estate planning documents reflect the changes that happen. Revisit your will regularly. Make sure it reflects your life changes and your wishes. Now that you know the most interesting and important facts about Wills, it is time for you to create your own. Be sure to go to the right person to help you prepare a Will. Whether you are starting from scratch or have questions about your existing will, I’m here to help. I am the right person because I can walk you through the process, all in simple English, and make it as easy as possible. Call me now and let’s talk about your situation. I will help you put together all of the documents that will meet your needs.